Northern Illinois University’s Team Light Up Africa has been named a finalist for the Tomberg Prize in Environmental Sustainability in the Dell Social Innovation Challenge. DSIC connects university students to the people, tools and opportunities they need to change the world. The challenge is part competition and part community. Students compete for cash prizes to put their social innovation projects into action and connect with a worldwide community of supportive, like-minded educators and professionals. 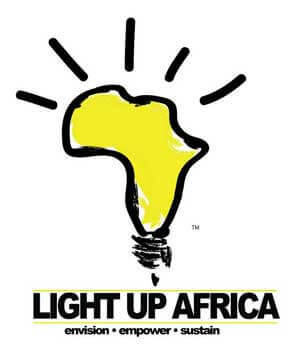 Team Light Up Africa will compete against a team from Dartmouth and a team from the University of Dhaka, in Bangladesh. The winner will receive $15,000 in prize money to help move their project from prototype to life-changing product. Members of the NIU team are promoting a product called Zoom Box, a portable device that can be attached to a bicycle, boat, oxen or any other moving object, which generates and stores electricity in a battery for later use. It will allow families to replace dangerous, expensive kerosene as their primary source of light and to charge cell phones and operate small appliances. The business plan, put together by the team in the fall of 2011, was the winner of the first-ever Social Venture Business Plan Competition at the NIU College of Business last December. That victory earned them $10,000 in seed money toward the advancement of their project. After entering the Dell Social Innovation Challenge, and despite getting a late start, Light Up Africa quickly rocketed past the competition in online voting. The project was No. 1 of 129 projects in the energy category; second among 387 projects aimed at improving life in Africa; third out of 401 for-profit proposals; and fifth out of 555 in the design category. Internet voting also garnered a $1,000 People’s Choice Award for the team in the Dell competition. Dennis Barsema, who taught the social entrepreneurship class, in which the students wrote their business plan, said that he is extremely proud of their performance. “This is a huge honor for the student team when you consider that over 1,700 applicants entered the competition! It is also great testimony and validation of their idea and business plan,” he said. Light Up Africa is comprised of Alan Hurt, who double majored in mechanical engineering and industrial and systems engineering; and accountancy majors John Harkness, Mike Sutarik and Jason Schwebke. While the team members are pursuing careers and wrapping up school, they remain committed to bringing the product to market. Hurt is currently in India researching manufacturing options and later this year will take a job with the World Food Programme in Africa, where he will work at setting up distribution channels in his spare time. The team also retooled and streamlined their business plan and submitted it in another social business plan contest, this one through Oxford University. They also participated in the Global Engagement Summit at Northwestern University, where their project drew high praise and much interest. Judges from the Tomberg Family Philanthropies, a sponsor of the Dell Social Innovation Challenge, will evaluate the three finalists for the award and announce a winner some time later this month. The winning team also will get to attend the Finalist Weekend in Austin, where the winner of the $50,000 grand prize will be announced. There they will have the opportunity to participate in workshops and mentoring sessions that will help them bring their product to market.